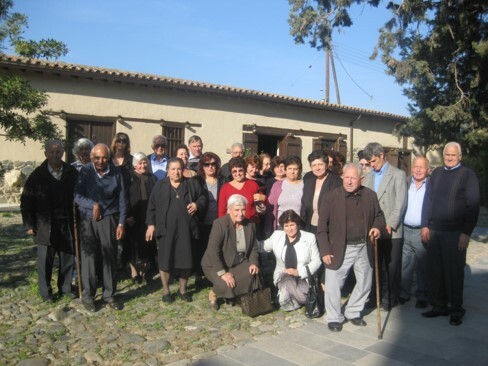 Who is involved: Ske Kouri Ksilourikou, a Council of volunteer community care addressed to a complex of 12 communities/villages. In 2014 the organisation won an EFID award. Nature of activity: There is an urgent need for improving the awareness and understanding of dementia across society in order to enhance the quality of life for people with dementia and their caregivers. 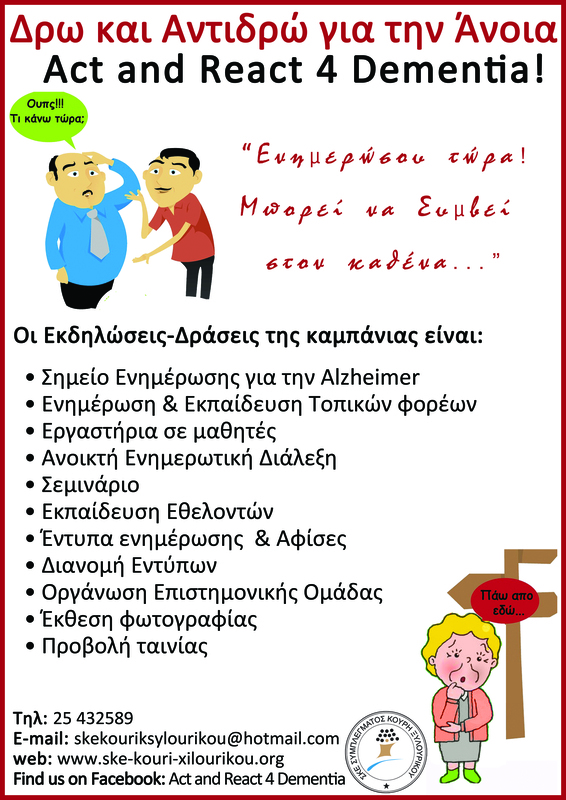 The Cyprus organisation has been trying for several years to offer people with dementia an independent and active life. The organisation exercises direct contact with the residents of the 12 communities/villages, in order to identify community needs and gaps that exist and to search for viable solutions, solutions designed for residents themselves based on their own needs. The organisation ran awareness workshops on dementia in primary and high schools, in order to educate young children of all communities on the facts of ageing and dementia, in collaboration with the training and research centre LCEducational.